The definition for a successful modern business includes its above satisfactory presentation in an online environment. Moreover, it is exactly the Web that might serve as your project’s best popularization channel, depending on your niche. Whenever we talk about “popularity”, we can’t glance over a very important prerequisite for accumulating this phenomenon. After all, how do we even reach the situation in which we would call something “popular”? Summed up in short: this “something” becomes popular once a huge volume of people notice it and talk about it. Translating everything into an online environment, this process has to do with the positioning (ranking) in the highly competitive world of search engines. And this is exactly what we will discuss in this post, focusing on the most widely used search engine of them all – Google. In order to climb the ladder of Google results and rank on the first page of the search engine, you have a lot of requirements to meet. Even more so if you want to take the top positions that are stunningly lucrative as they offer the best online visibility. These criteria can’t be skipped if you want to achieve popularity, no doubt about that. Google themselves have reported the overall volume of search engine ranking criteria might exceed 200, but in reality, you would do well enough by monitoring 10 to 20 of them. It is this careful process of monitoring and embarking on a long-term strategic journey that will bring you to the top of Google. Which, in turn, will bring in more visitors and potential clients to your website. Let’s see some of the most important criteria for good Google ranking that are still valid in 2015. A lot of people severely underestimate content creation and text writing when it comes to the web infrastructure. Truth is, content can be a tricky thing to come up with, as you have to appeal to two types of audience. The first is the algorithmic, “mechanical” nature of how Google goes through your website, scanning and combining your content according to strict criteria. The other, of course, are your human visitors – living and breathing readers who wish to have content that is interesting, of high quality, and coherent. Your content should appeal to both of these audiences, without any exceptions. You are juggler between these both worlds. In recent years, Google has introduced a series of updates, bringing forth harsher algorithms. The target is your content’s uniqueness, quality and length. An accurate example would be blog posts – if two or three years ago a 300 word blog post was completely acceptable, Google now deems articles of 800+ words as “quality content”. Short texts get severely punished; the longer your content is, the better. While we’re here, it shouldn’t be elaborated on, but still: copying (and pasting) any information from another source absolutely demolished the quality of your content. You risk Google not indexing this plagiarism in an adequate manner simply because the content exists somewhere else before being placed on your website. Not to mention that visitors will also have a bad impression. In short, you need: structured content that is high in quality (unique, grammatically correct and engaging) and coming in a satisfactory form (no short blog posts of 3 measly paragraphs). When you think about internet success, always remember that this involves a lot of thought processing, brainstorming…and thinking in long-term perspective. SEO is a very important representative of this mindset, partitioning itself in two different types: off-page SEO and on-page SEO. Let’s focus a bit on the best examples in both categories. Collecting the proper set of keywords relevant to your business is one of the most important sides of on-page SEO. They will bring the appropriate visitors and turn them into clients within the blink of an eye. Really, optimization sounds like something very complicated, but it’s not such a big hassle at all. All you need is a strategical mindset and some delicate application of the aforementioned mindset. Generally, keywords come in two types. The shorter ones are called “short-tail” while the longer ones are, you guessed right, “long-tail”. Experts’ opinion differ, but it would be a good practice for you to mix both. Long-tail keywords, however, have been steadily growing in use as of lately, so keep that in mind. You have a business related to tea. A short-tail keywords here would be “green tea” or “tea shop”. Long-tail equivalents, however, would extend to “green tea from East China” or “tea shop with organically produced tea products”. Long-tail keywords are more niche, targeting a narrowed-down crowd of visitors. They are your best bet to differentiate yourself in comparison with your competitors while operating on the market your business lies in. Keywords should be found not only in the “core” web content of your website (Homepage, Services page etc. ), but also in your blog. This is the reason you will find a lot of businesses keeping a blog as a means of pumping the SEO of their website. However, Google has covered this one too and you should be careful. Little to none keywords are a no-go, but keyword stuffing (using too many keywords) makes an equally bad impression. The best approach is to use a moderate amount of keywords, without this affecting on the quality and coherence of your content. “Off-page” SEO seems pretty self-explanatory, doesn’t it? It is the SEO branch that has to do with things that happen “outside” the confines of your website and its pages. Without any doubt, one of the most widely distributed off-page SEO practices is link building. Link building is achieved by having your website mentioned (with a link) in other relevant websites operating close to your niche. Whenever you seek to achieve some link building or exchange links, always monitor their overall quality, popularity and relevance to what you do. 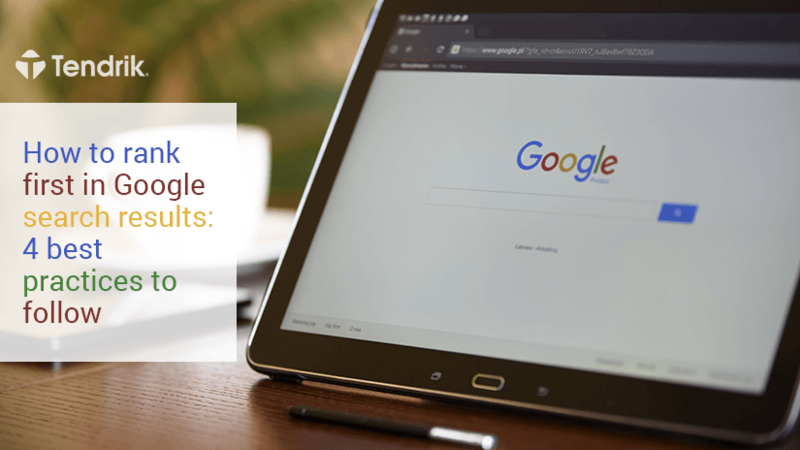 Already popular websites with high Google ranks are a huge advantage for Google indexing. At the same time, getting a link in a website with less than 150 visitors who, say, focuses on car rental would hardly help you out with your off-page SEO as a tea company. With the social networks boom, social media has become a very crucial element of off-page SEO practices. Facebook, Instagram, Twitter, Pinterest and other networks help a lot for getting your website out there and are a good sign to Google. After all, if readers across several social networks appreciate your content and share it, you really do deserve higher ranking in search engines. This is a good incentive for you to think about shareability when creating content. Along with this, always install social sharing plugins, so you can make it easier for your visitors to share any content with one click of the mouse (or tap on their smartphone). How many of your friends have a smartphone or a tablet? Google has this mobile device boom in mind and applies that trend to its rankings. If you want to climb search engine results, your website has to have a mobile version that offers visitors a good, smooth browsing experience. One of the most important factors here is site speed. Mobile browsing is hectic, impatient, now-or-never. If you want to delight your customers and keep them happy, your website has to load fast and be hasty as a whole. Limit your code, be alert with browser caching and optimize your images (both size and file types – for example PNG images are the best for flawless mobile browsing). Of course, there’s no skipping your website’s design. Google strongly favors responsive design with its ability to fit to different devices and resolutions. In other words, your website will look just as perfect on a smartphone as it will appear on 10-inch tablet’s glossy screen – and Google will appreciate that. Do yourself a favor and commit yourself to securing a fast, smooth and gorgeous mobile version of your website. Get some testing efforts on the line, play around a little – so you can climb some Google rankings later. Our last recommendation deals with having an advertising budget – which to a great extent is an integral part of any successful business. Google AdWords is Google’s platform for paid advertisements (ads) and lately has become the core to ranking well and attracting customers. AdWords is based on a pay-per-click principle (PPC). Basically, you are paying for each click a user does when presented with your advertisement. Of course, this process comes with a good amount of expenses, so the best you can do is shape a more precise ad. Who is your client? What is their behavior, what are they searching for, what demographic group do they belong to? What are the keywords you wish to target? Which are more often sought out and more popular? Where is the competition not so high and you get the biggest bang for your buck? What channel would you focus on – mobile devices, laptop, desktop computers? What are the advantages and disadvantages of the different devices and advertising through them? What is your final purpose? Is it only a visibility effect, or are you looking to fetch purchases? Maybe a newsletter subscription? Or why not a software download? Google AdWords is strategy tied with guaranteed expenses, so you have to plan accordingly, with maximum revenue in mind. Advertising in Google is highly lucrative, but only when you have set the appropriate parameters in an engaging, perspective way. No one said that ranking high in Google results and climbing Google’s ranks would be an easy task. However, it is also not unbearably hard challenge. The relative complexity comes from the fact that you should take care of various criteria and combine them in order to popularize your website to the optimum. At the same time, though, the end result is worth it. Just think about it: How many times have you dug deeper than, let’s say, the fifth page of Google results? Leading the Google rankings will net you more visitors, more prestige and respectively, a lot more clients who will bring in increased revenue. A good thing to have at your disposal, no doubt about it.